Chief Justice Hunstein's 1984 election to the Superior Court of DeKalb County made her the first woman ever to sit on the superior court bench in that county and one of the few female superior court judges in the state at the time. In 1992, she was appointed to the Supreme Court by Governor Zell Miller making her the second woman in history to serve as a permanent member of that Court. During her years in practice and on the bench, Justice Hunstein saw clearly the importance of family law and its impact on our society now and on future generations. In DeKalb County, she chaired the committee which created and oversaw the DeKalb County Alimony and Support Unit. She also headed DeKalb's Domestic Violence Task ForceBthe first domestic violence task force in the state. 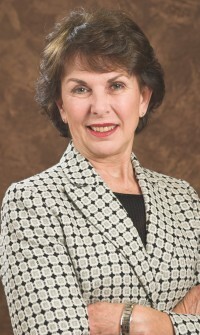 Since her appointment to the Supreme Court she has chaired the 1993, 1998 and 2001 Georgia Commissions on Child Support. Currently, Justice Hunstein chairs the Supreme Court Commission on Access and Fairness in the Court. In addition, she serves as Supreme Court Liaison to the Chief Justice's Commission on Professionalism and the Indigent Defense Council and chaired the Unauthorized Practice of Law Committee and Attorney Qualifications and Compensation Committee. She is active in the Bleckley Inn of Court and the National Association of Women Judges. In 1995, she brought the National Association of Women Judges and the International Association of Women Judges to Atlanta for their Annual Meeting. Justice Hunstein was chosen as a Rosalynn Carter Honorary Fellow in Public Policy at the Emory University Institute for Women's Studies. She received an honorary LL.D. from Stetson University School of Law and serves as honorary member of their Board of Overseers. She is a member of Florida Atlantic University's Hall of Fame. In 1999, the American Bar Association's Commission on Women in the Profession presented her with the Margaret Brent Award for her achievements. In January of 2006, she received the Commitment to Equality Award from the State Bar's Commission on Women and Minorities in the profession. In March of 2007, she received the Shining Star Award from the Atlanta Women's Foundation.